In February or March of 2010, I was on my way out of Salt Lake City. I left my job at Planned Parenthood Action Council and took up a temporary position at the Tracy Aviary. I knew I was on my way out of the city in my move back east, but I still had no specific clue as to how my life would look. So, GF’s parents were kind enough to let me stay with them for a while prior to my transition from the West to DC. I have many great memories of that time. First of all, I was not working (which hurts a little bit now on the financial front), but I did get the chance to relax, watch television, play video games and simply sit and speak with GF’s family. I remember feeling safe and at home in such a welcoming family environment. 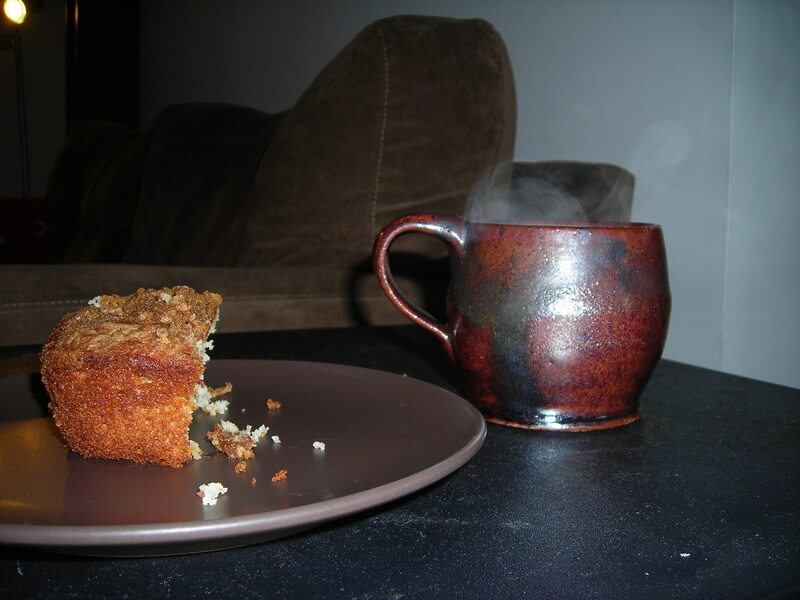 While I had the opportunity to eat many tasty food dishes, one of my favorites was GF’s dad’s coffee cake. Today, we brought that tradition to our neck of the woods. After a quick phone call to Utah to clarify some instructions, I took to whipping up my first attempt at the dish. I think it turned out quite well, mainly due to GF eating more than one piece. The best compliment. 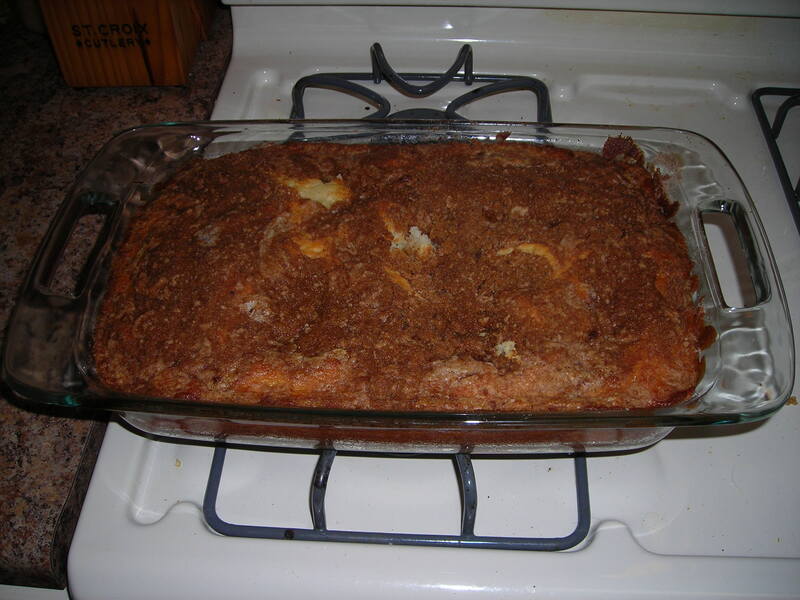 Out of the oven and on the stove to cool. Corner piece with home-made coffee mug from AJ. I was quite pleased with the dish as well, especially when paired with fresh coffee in a mug GF’s brother made in pottery class. The combination is what I love most about Sundays. Sitting around with homemade breakfast and fresh coffee, while watching television or simply talking about life with a close friend.